Human behavior perplexes me. 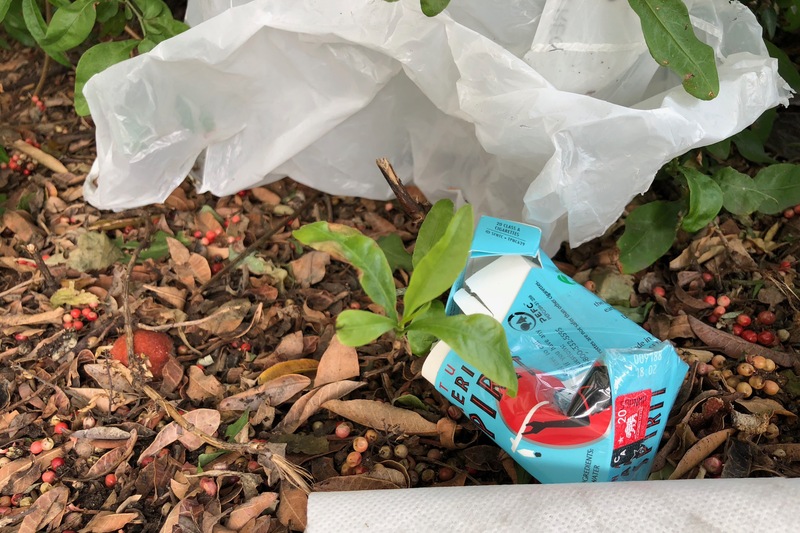 This morning while walking towards the Sprouts market, here in San Diego’s University Heights neighborhood, I observed a grey-haired woman stop walking to pick up a discarded cigarette carton; a wide-brim hat obscured her face. I smiled and thought: “Good for her! How commendable”. But she soon followed community-minded behavior with inexplicable action. The lady tossed the thing into foliage alongside the sidewalk. Surely, I misunderstood—but, no, her right hand was empty. So much for the goodwill of grabbing unsightly refuse and disposing in a garbage can—which wasn’t more than 46 meters (50 yards) further along. Passing the spot of the drop, I could see other trash. Someone explain to me to rationale of moving rubbish about. Was that empty lonely all by itself, longing for the companionship of other waste? Did the woman really see trash where it didn’t belong as the place for the cig box? Perhaps out of sight, even if out of place, was all that mattered to her? I probably would have left the thing where it was, honestly. But had I picked it up, the corner garbage can would have been the only destination. Maybe she did better by picking up what I wouldn’t have, even if discarding so. Hehe, you tell me. Of course, to illustrate this post, I had to document the moment. I shot the Featured Image at 9:17 a.m. PDT, using iPhone X. Vitals: f/1.8, ISO 40, 1/120 sec, 4mm.